Microsoft's Surface Pro tablet, which will be capable of running regular Windows 8 desktop applications, will be available in the US and Canada from 9 February. However, Microsoft is yet to reveal details of Surface Pro's Australian release. The regular Surface is only capable of running apps downloaded from the Windows Store, whereas the Surface Pro is akin to a regular PC in terms of application installation and is able to run regular Windows 7 and Windows 8 programs. Telsyte senior analyst Rodney Gedda said that the Australian reception for the Surface Pro when it is released will depend a lot on pricing because of the number of Windows 8 tables already on the market. "That said, Microsoft can put its marketing weight behind the Pro as a device that runs 'real' Windows applications and is hence more suited to businesses," Gedda said. "If the device is upwards of the $1000 mark it’s unlikely the Surface Pro will fly off the shelves as that would make it one of the most expensive tablets on the market without 3G connectivity." The combination of being able to run regular desktop applications and tablet apps will appeal more to business than consumers, as "consumers have shown they can live without the classical 'windowed' application interface." Enterprises are more likely to need the compatibility offered Surface Pro to support older desktop applications until they have a chance to modernise them for use on a tablet, Gedda said. Unlike the ARM-based Surface, the Surface Pro runs an Intel Core i5 processor. It's available in 64GB and 128GB versions, priced at US$899 and US$999. 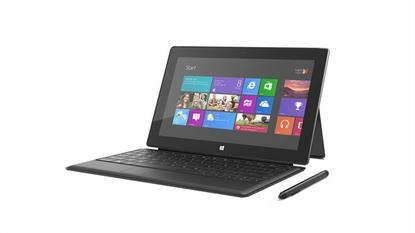 The Surface Pro is a 10.6-inch tablet with a Full HD (1920x1080 pixels) resolution, and features a full-sized USB 3.0 port. Microsoft also announced that a 64GB version of Surface RT will be released in Australia on 9 February.